Kant posits that Jewish fault lies in their empirical interests, which override their ability to successfully participate in a "rational" body politic. Kant describes this irrationality as Jewish "superstition," which disallows them a sense of autonomy. 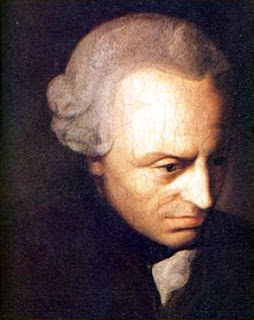 Kant's rejection of the Jews as rational or autonomously functional citizens is evident in the later work of Hegel, Feuerbach, and Schopenhauer, although all the latter philosophers attempted to distance themselves from Kant's ideas. Mack also delves into Hegel's view of the Jews. Hegel argued that Jews are tied to materialism due to their religious attachment to Jehovah, who holds everything in his possession. 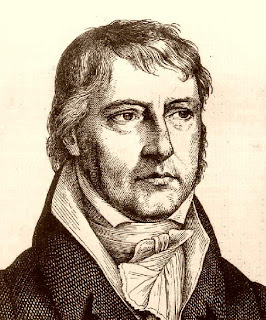 To Hegel it follows that the Jews' attachment to the empirical world is embedded in the idea that their God and material power are one and the same. The root of Jewish spirituality—that the earth was created by God for Jews to reside upon—is something that Hegel cites as a paradoxical absence of spirit. Hegel also points to Jewish dietary laws as evidence that "Jews value life as spiritual matter"; this puts Judaism in direct opposition to his dialectics, which "speculatively attempt to pinpoint the coincidence between being and non-being" (89). Kant, Hegel, Feuerbach, and Schopenhauer all cited the Jews as a scapegoat for the presence of heteronomy in their society. Though Wagner's ideas have some discontinuities with these philosophers, he was able to draw upon them to feed his robust anti-Semitism. Wagner was a master at creating art that appeals on a humanist level; however he stopped short of including Jews. 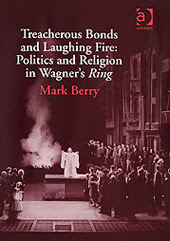 By characterizing the Ring Cycle in this manner, Mack claims that Wagner is following the trajectory of German transcendental reason. Mack's reading of the Ring Cycle sheds new light on both Wagner's personal philosophy and the work itself.